ActCAD Engineering Solutions, a member of the IntelliCAD Technology Consortium, announced the release of its new product ActCAD 2017 Classic available in both 64-bit and 32-bit versions. 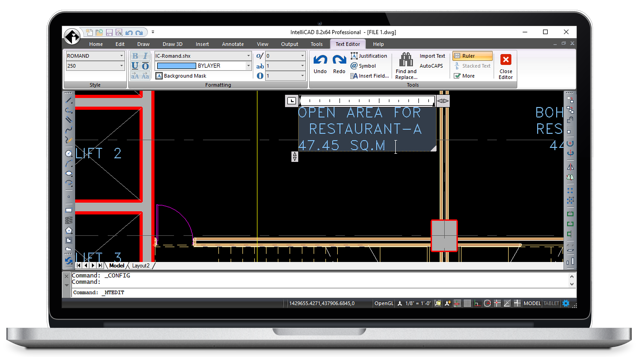 ActCAD 2017 Classic is lightweight 2D drafting and 3D modeling software based on the IntelliCAD engine and ACIS kernel, and it supports all .dwg and .dxf file versions from Release 2.5 to 2017. For more details about ActCAD 2017 Classic, see http://actcad.com/actcad-2017-classic-version-released-in-64-&-32-bit.php. Carlson Software, a member of the IntelliCAD Technology Consortium, announced the release of Carlson 2017 which is based on IntelliCAD 8.2. New features include a new 3D Solids module, new commands, improved performance, native DGN with basic CAD functions, improved reporting, and much more. For more details about Carlson 2017, see: http://www.carlsonsw.com/products/office-software/carlson-2017/.